Paula was the featured speaker at a March Minneapolis Rotary Club meeting. She spoke about the history of Friends of Ngong Road and the recent launch of Karibu Loo as a source of sustainable income. Thanks to the Minneapolis Rotary Club for inviting Friends of Ngong Road to be a part of your important work and to the other Rotary Clubs around the globe who support the children of our program. 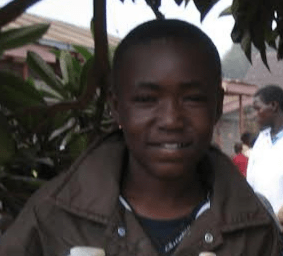 Sheila is a 2013 graduate of our program, and through the help of her sponsor Marti, Sheila has transformed and continues to transform her life for both herself and her family. After graduating high school, Sheila was selected among 250 applicants for 1 of 25 police academy spots. 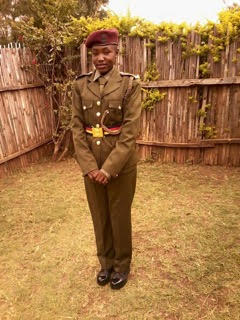 She has now completed her training, is assigned to work at Mombasa airport, and is beginning a one-year security management program at Mt. Kenya University while also working. 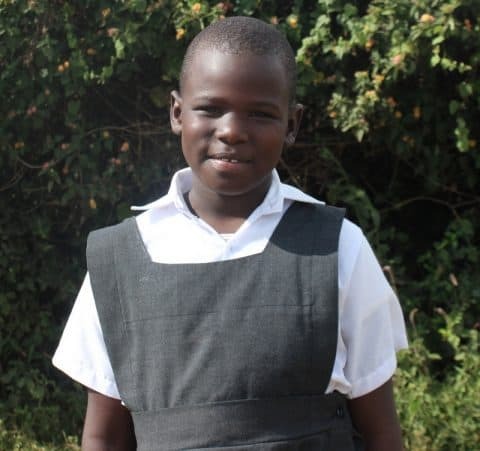 Her dream is to do security at the United Nations compound in Nairobi. We are proud of you, Sheila! Art for Africa Spring Sale: May 1! Selections of original artwork donated by a local art collector who has discovered a wide range of art pieces from all over the world. Beautiful jewelry donated by a longtime friend of Ngong Road. Kenyan handicrafts such as baskets, jewelry, rugs, and gift items created by the mothers of some of our kids – just arrived from Nairobi. Bring a friend, all are welcome. No RSVP required. We hope to see you there!